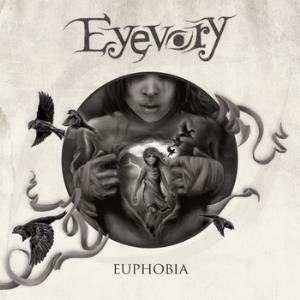 Eyevory is a progressive folk rock band from Bremen, German. They initially formed in 2009 under the name “Pink mercury” and in 2012 changed their name to “Eyevory”. They’ve previosuly released an EP, and Euphobia is their debut album. It’s a really interesting mix of styles – folk, pop, rock and Prog, all blended together to form a really good album. The album kicks off with “Sacrifice”. Nice heavy guitar riffs and a flute are a combination most people wouldn’t think of but that’s how this song opens and it works very well. Then the beautiful female vocals kick in and the song moves into the main part. It’s mainly rock but the flute and vocals do give it a folk feel too. From there on the album continues to deliver beautiful vocals, strong tunes and a blend of styles. It’s more rock than anything else, but the folk, Prog and folk-rock elements are all there too and they help give this album a really distinctive sound, and one that I think works superbly well. The flute is an instrument rarely used in rock, with Jethro Tull being the obvious exception to that rule, so it’s use here really does stand out, but it’s not overused and where it is used it works perfectly.